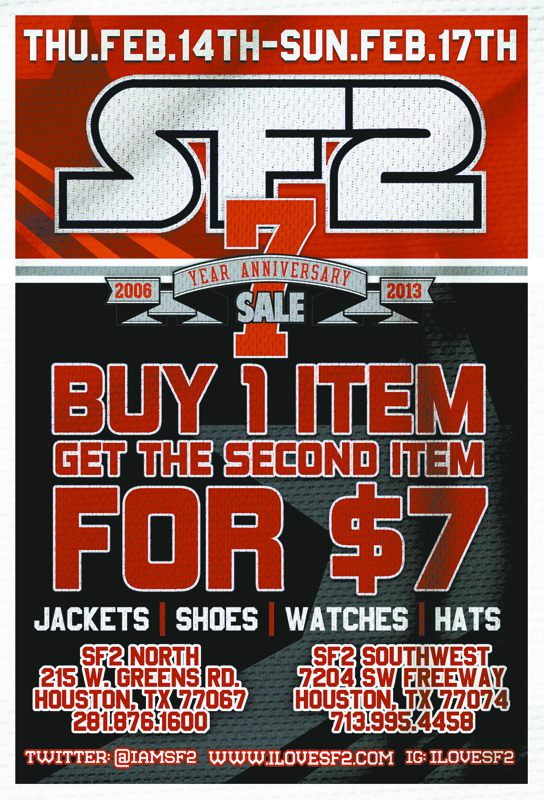 SF2 7th Year Anniversary Sale starts tomorrow! We have 2 MAJOR sales per year. This is the first one. Join us in celebrating 7 years of being a retail staple in Houston by taking advantage of our anniversary sale of BUY 1 item at regular price and receive the second item for only $7!! Your eyes are not playing tricks on you, its really that simple! Starting tomorrow, 10:00am Thursday Feb.14 ending Sunday Feb.17 at 9:00pm. Do not sleep on this sale.